As always, I am going by order of favourites! Holler! Watson's is giving us more makeup choices with 2 new brands to choose from.. first up, we have Beauty UK, an exclusive British brand. 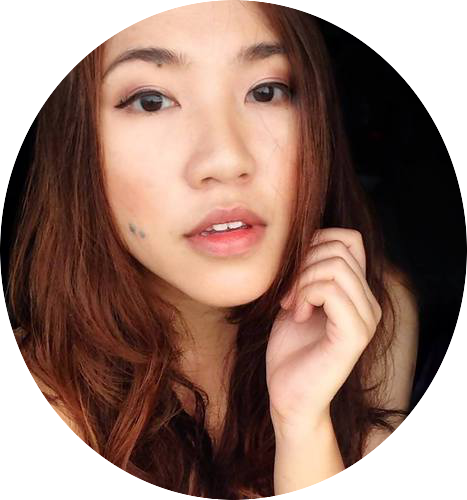 One of its star products is its Ultimate Contour Palette - which has three skin-perfect shades for bronzing, contouring and highlighting, all which I found had a very natural nuances for asian skin. Some star products to look out for: High Brow - an eyebrow compact kit, Lash2theMax a unique volume-enhancing mascara, as well as Lips Matter a luxurious velvet matte lip cream collection that delivers intense colour and incredible staying power. Overall, a great brand to look out for ladies who veer more to natural looks. I won its Posh Palette in a lucky draw; 10 gorgeous shimmery shades thats great for building and blending. BeautyUK is currently retailing in all Watsons outlets and is priced from $9.90 for the Lash2theMax Mascara, to $16.90 for The Ultimate Contour Palette. Australis on the other hand hails from Australia, and has a cool signature black packaging, with similar good foundation basics; and a price point that is slightly higher than BeautyUK.I love especially the Ready Set Go Finishing Powder; finely-milled powder that sets without leaving skin looking over- caked. We got to bring home the Velourlips Matte Lip Cream, which feels creamy yet boasting a pretty rich, matte colour payoff that conceals lip crevices. Waterproof, too! I spied on Primer the Original – a possible hydrating primer dupe for Laura Mercier's, that creates a smooth skin canvas for longer lasting makeup application,. and its Makeup Finishing Spritz which doubles as a lightweight face mist that also creates invisible barrier to set makeup. Australis is currently retailing at all Watsons outlets and is priced from $12.90 for the VelourLips Matte Lip Cream, to $24.90 for the AC on Tour Kit (contouring palette). I've used Pure Beauty, a Watson's exclusive brand previously and found it's natural ingredient formulations well-suited for my skin for its pocket-friendly price point. But what's truly exciting is its debut cosmetic collection - Pink Edition by Pure Beauty. 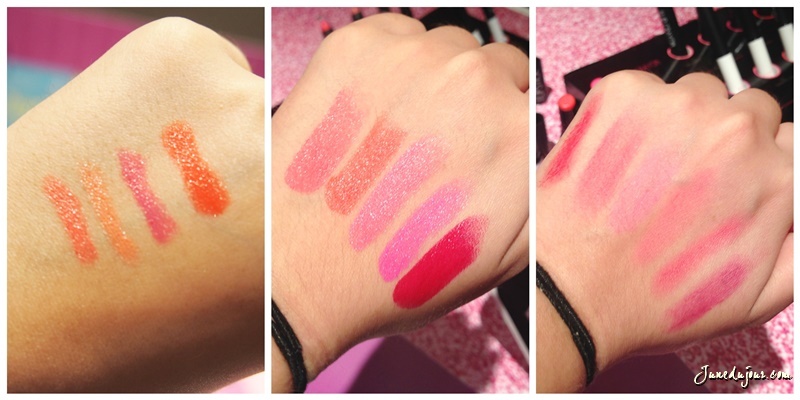 (Proceeds to let out silent scream of joy) My fellow lipstick junkies, you will be able to expect 3 ranges of lip colours in Singapore to suit your liking. I'm afraid that I did not manage to take a better picture of the Revlon booth as the groups moved rather quickly but am so luck to bag one of their Revlon Photoready Insta-fix foundation stick in 110 Ivory. I found the creamy to powdery transition awesome (though shade was a tad too light for me), and the finish looks quite natural and it has some form of oil-control for my combination skin. Great for touch ups with its SPF20 protection and sleek packaging. 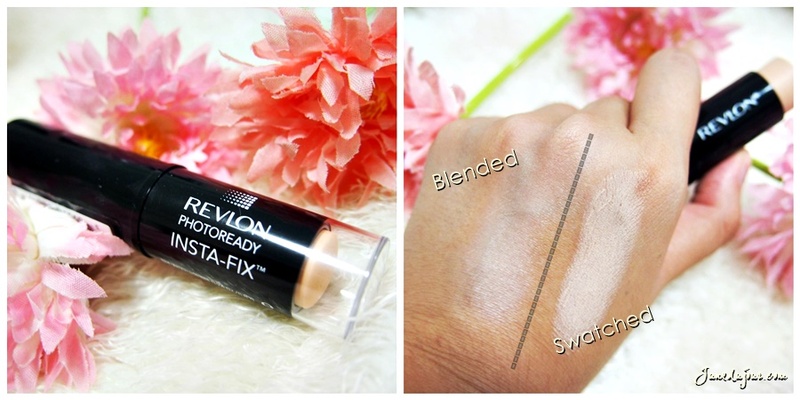 Revlon Photoready Insta-Fix Makeup is currently retailing at all Watsons outlets at $26.90. Available in 4 shades. If your have read my previous review on the DCS Super Aqua range, you'll know how much I'm a fan of this new korean brand that prizes itself on the use of Jeju Volcanic seawater. DCS NUTRIDERM is the latest addition to the family, specially formulated for anti-aging with its infusion of Korean ginseng berry. I received their ampoule and day cream recently and will be reviewing it soon. Can never have enough of anti-aging products since I'm already in my late 20s! This DCS NUTRIDERM range is only made up of 4 products - Ultra Nutrition Toner, Ultra Nutrition Ampoule, Ultra Nutrition Day Cream, and Ultra Nutrition Night Cream. It has a distinctively Ginseng scent that some ladies may find strong, but I personally find it pleasant. Faith in Face caught my eyes pretty quickly with its cheeky name and eye-catching booth: belying it is its accolade as Korea’s no. 1 Hydrogel Mask brand. It uses only organic and naturally derived extracts which include plant collagen, essential oils, Vitamin E and hyaluronic acid for a potent hydrating boost. I absolutely liked the idea that its hydrogel instead of the usual sheet fabric as I feel its able to adhere to the curves of the face well without falling off and retains more of the nourishing goodness...plus if you put it in the fridge before using, its refreshing! Currently retailing at all Watson stores islandwide at $14.50 each (3 sheets in a pack). And if you have the biggest weakness for sheet masks, do also look out for Watsons Tencel® Facial Mask, which uses a special material blend of cotton, wool and Tencel for a truly pampering feel. Each sheet is soaked with 21ml of essence that features Sodium Hyaluronate (an effecitve potent moisture humectant agent), coupled with Vitamin B5 for a soft, elastic and moisturized finish. The Watsons Tencel® Facial Masks are available in 5 different variations: Black Pearl Soothing Facial Mask, Red Wine Antioxidant Facial Mask, Natto Soothing Facial Mask, Brown Rice Brightening Facial Mask and Double HA Intensive Moisturising Facial Mask. 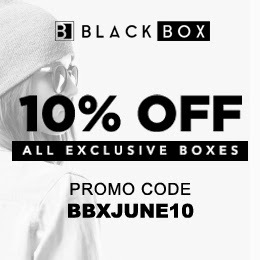 Currently retailing at all Watsons outlets islandwide at $14.50 per box (10 pieces). Note: just found this out at the event myself...did you know that this was actually inspired by Ulthera, a type of skin-tightening procedure at aesthetic clinics? Containing a medley of 3D collagen, 3D hyaluronic acid, TC triple collagen, hydrolyzed elastin, Gold Collagen EX, Marine Pro Collagen and AG3 to fully rejuvenate skin elasticity and moisture. The Dr Ci:Labo Aqua-Collagen-Gel-Enrich-Lift EX is currently retailing at all Watsons outlets islandwide at $75 (50g) and $150 (120g) respectively. Still with me? We're almost at the end! Indulge me in my vanity for abit longer! Marc Anthony Hydrating Coconut & Shea Butter Haircare Range is a premium one to look out for: featuring the popular benefits of its Coconut oil infusion to give hair deep moisture, thus reducing breakages and splitting. It is also coupled with Shea Butter to help protect hair cuticles from harmful free radicals. The full range consists of - Hydrating Coconut Oil & Shea Butter Shampoo, Conditioner, Oil Treatment and Conditioning Treatment for an all rounded pampering haircare experience, thanks to its Vitamin C and Biotin (Vit H) ingredients. Being a user of Revlon hair dyes, I was pleased to see Revlon Luxurious Colorsilk ButtercreamTM. It's ammonia-free and gentle on scalp cream hair colour formula, while its special Buttercream technology gives a great color tone, radiance and silkiness to hair. I like that its drip-free,with a rich formula to really spread and distribute evenly for 100% gray coverage (granny-tested). Priced at $15.90, it is currently retailing in 8 flattering shades at all Watsons outlets. Revlon Salon Hits is an edition that features 2 new ranges: the Revlon Beauty Hair Elixir and Revlon 11 Benefits range, both designed to give a complete nourishing hair experience. Currently retailing at all Watsons outlets, priced from $14.90 for the shampoo to $23.90 for the Sublime Beauty & Extra Shine Fluid. 2) For hair that needs a tad more TLC, the Revlon 11 Benefits range is your choice. 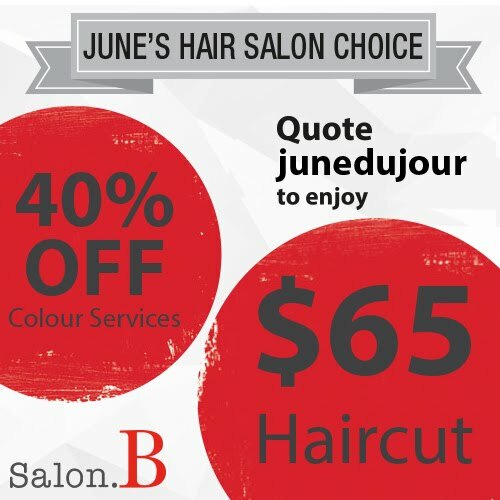 Touted as a complete intensive hair care treatment to fortify, repair and protect damaged hair. Featuring the Creamy Shapoo, No Rinse Spray and Hair Mask + Serum, the Revelon 11 benefits range intensively nourishes hair to create a detangling effect for smooth silky strands. Oh and not to mention, it smells lovely! PS: don't miss out on their Hair Mask, which contains serum micro capsules that burst as you massage the solution into your hair; thus releasing the serum for detangling and nourishing. Currently retailing at all Watsons outlets, priced from $16.90 for the shampoo to $24.90 for the No-rinse Spray Mask. I always thought that Christmas time at Watsons is one to stock out on the best deals for bath sets and candy... not only pretty to look at but so value for money as a bundle.There are too many to list out individually but I assure you that you will be spoilt for choice...MAJORLY. From skincare and bath sets that go from $9.90 - $22.90, and each of it so exquisitely packaged! 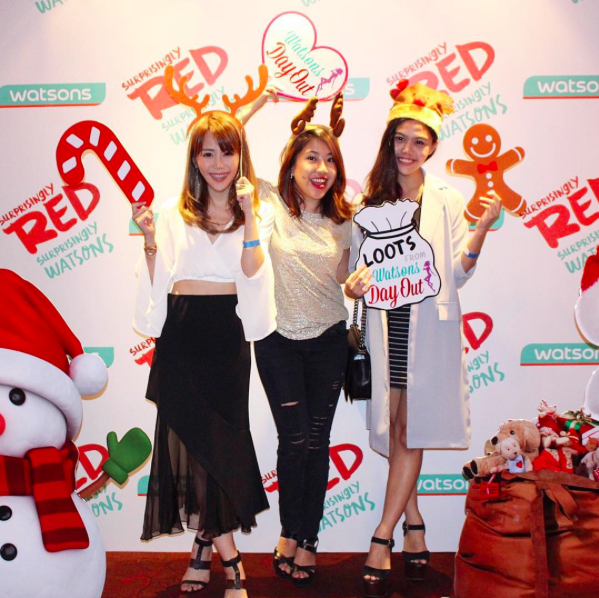 What better way to end our Watsons Day Out, than clinking our glasses to cheers the exciting holiday ahead? At the Kinohimitsu bar, we had a chance to try 3 different tastes of their Kinohimitsu Wellness Smooth’D drinks: a simple to prepare, yummy and nutritional natural treat. Each flavour contains plant extracts, prebiotic and 100% real fruits; to gently detox our bodies of obstructions that culminate from our food habits, environmental radicals and lifestyle habits. Simply add to 120 ml of water and served chilled with bits of fruits, its definitely not hard to incorporate this in your everyday lives! 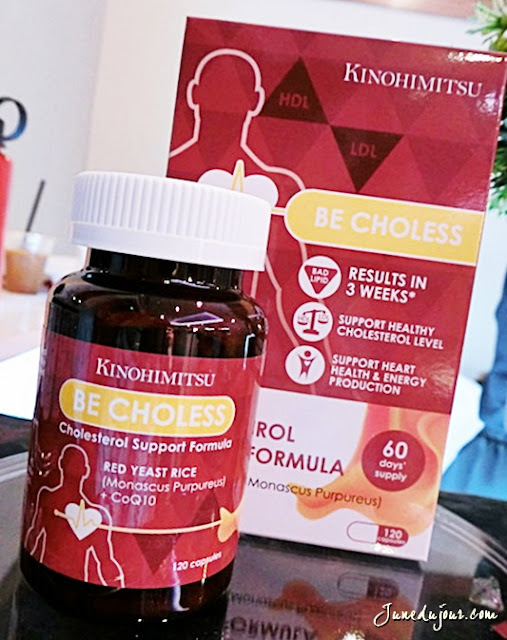 For my parents, there can be not better pick than the Kinohimitsu Be Choless, which is made from all natural heart-healthy ingredients to keep my dad's high cholesterol level and blood pressure in check,all while acting as a energy boost beverage! Both items are currently retailing at all Watsons outlets. Kinohimitsu Wellness Smooth’D is priced at $39.90 (15 sachets per box) while the Kinohimitsu Be Choless iss priced at $99 (120 capsules per bottle). Last but definitely not least is AFC Collagen White Beauty AFC. I've vaguely heard about Japan’s award-winning collagen ingredient - the MCP-EX Marine Collagen Peptides, provide 1.5 times more effectiveness than regular collagen, which is the special ingredient in this 90-day beauty supplement. Recommended at 3 caplets a day, it promises to brighten scars and dark spots and to plump up dehydrated skin. Also had a chance to check out their other best-sellers like the PROVision and a taste of their Ultimate Enzyme drink which is made of 106 superfoods. A tad on the strong side, but quite a nice tangy taste for after meals for an added health boost! 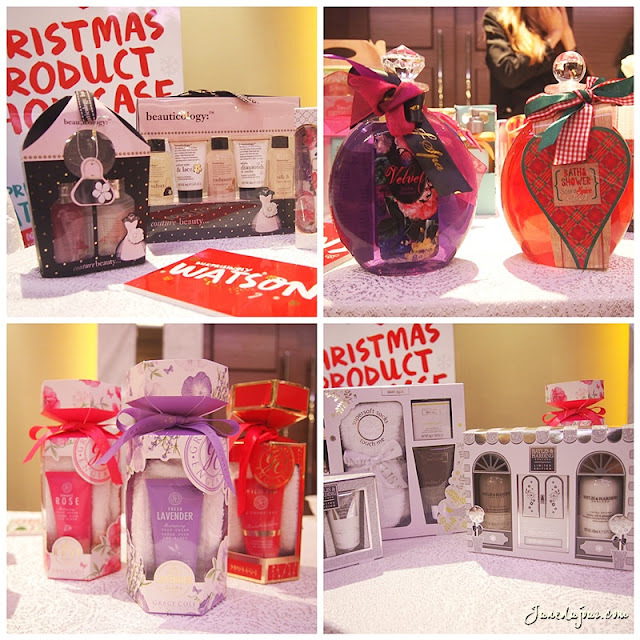 Thank you so much for the bountiful, Watsons Singapore & TOUCH PR! 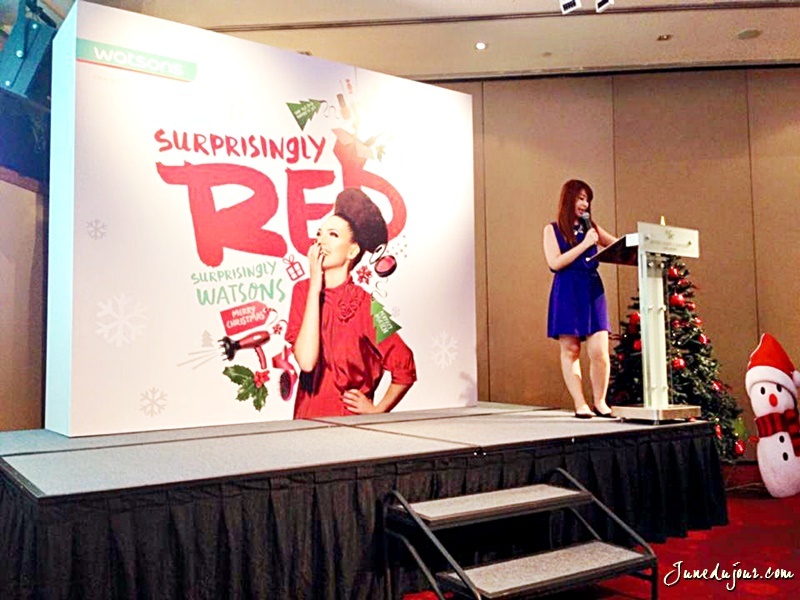 And of course, do remember to follow Watsons Singapore to stay updated on their latest promotions, news and contests!